Scott is a Clinical Professor at the NYU Stern School of Business where he teaches brand strategy and digital marketing. In 2012, Professor Galloway was named “One of the World’s 50 Best Business School Professors” by Poets & Quants. He is also the founder of Red Envelope and Prophet Brand Strategy. Scott was elected to the World Economic Forum’s Global Leaders of Tomorrow and has served on the boards of directors of Urban Outfitters (Nasdaq: URBN), Eddie Bauer (Nasdaq: EBHI), The New York Times Company (NYSE: NYT), Gateway Computer, and UC Berkeley’s Haas School of Business. He received a B.A. from UCLA and an M.B.A. from UC Berkeley. Bob Kupbens, Vice President of Seller Experience and Global Trust, brings extensive industry as well as customer-facing experience to this role. Kupbens leads eBay’s effort to bring unique and differentiated inventory to the eBay platform, enhance sellers’ business growth and drive buyer and seller confidence in the marketplace. As Vice President of North America at Alibaba Group, Lee leads the company’s North American business. As GM of this effort, Lee works closely with all industries to set the course for how to best utilize Alibaba Group’s family of brands and services. Khurrum is the Head of North America Product Marketing at Facebook, where he is responsible for the company’s advertising product strategy and execution. 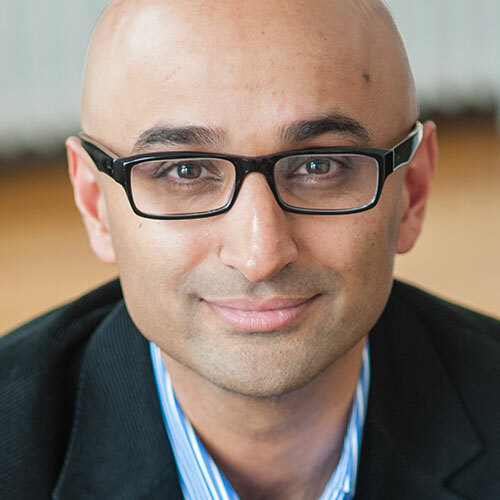 Prior to Facebook, Khurrum was the CMO at eXelate and VP of Marketing at comScore where he led corporate and product marketing efforts to drive growth across audience, advertising, and digital analytics product lines. His background includes driving revenue, share, and profitability in mobile, digital, and software industries. He has also spent time in marketing leadership roles at Accenture, Microsoft, and Sprint. Khurrum received his MBA from the Darden School of Business and his MS (Information Technology) and BA (Environmental Science) from the University of Virginia. 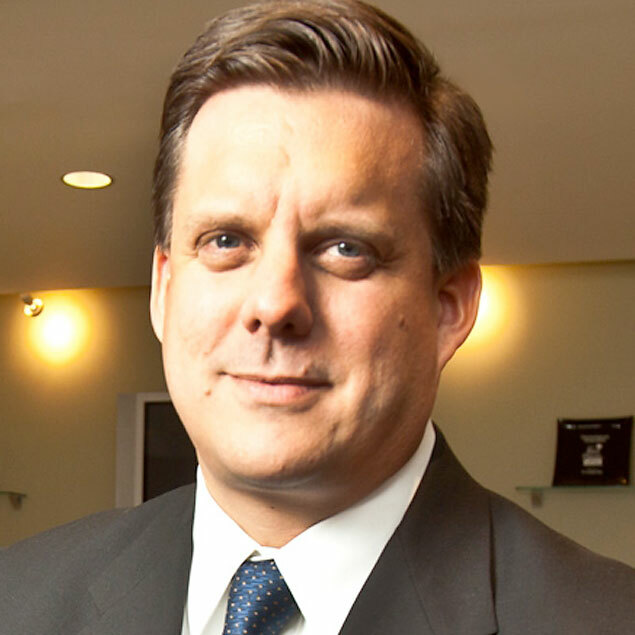 Henry J. Maier assumed his role in June 2013 and is responsible for the strategic direction and performance of the company. He also serves on the FedEx Corp. Strategic Management Committee. Maier has more than 38 years of experience in the transportation industry, including more than 30 years at FedEx companies. His FedEx career includes a series of leadership positions in logistics, sales, marketing, and communications, including serving as director of sales and vice president of marketing and communications. Immediately prior to his current position, he was an executive vice president of FedEx Ground and responsible for all of the company’s strategic planning, contractor relations, and corporate communications programs. Originally from Texas, Maier graduated from the University of Michigan with a bachelor’s degree in economics. He holds board positions on the United Way of Allegheny County and the Allegheny Conference for Community Development. 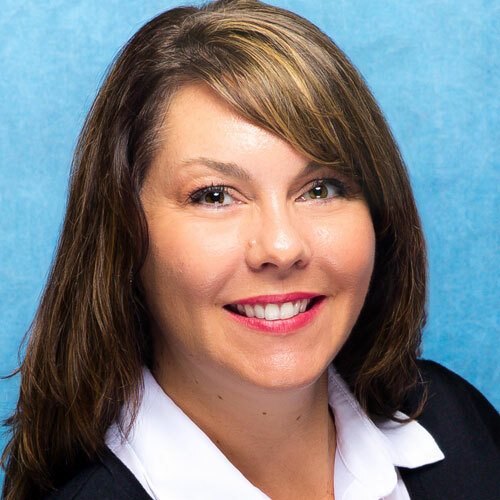 Tracie Nunez currently serves as President of Performance Warehouse Association, a nonprofit organization of specialty automotive parts distributors, based in Southern California. PWA is a responsive professional network representing more than 400 companies comprised of distributors, manufacturers, sales reps and retailers. Since 1971, the association’s main focus has been to promote the profitable distribution of specialty automotive products and grow business for the long haul. Previously, Tracie spent fifteen years at Advanced Clutch Technology, a performance clutch manufacturer. 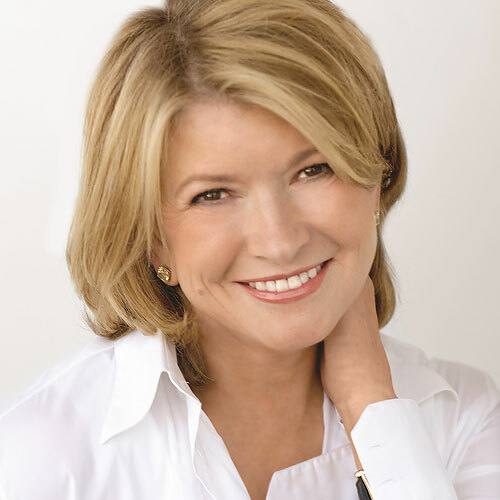 As the CEO, she was a key player in growing the business and developing the ACT brand. She also spent eight years working in warehouse distribution at Avery Dennison, a leading manufacturer of office supplies. Tracie received a Bachelor of Business Management from the University of Phoenix. Her professional experience enhances her perspective of industry trends that impact automotive businesses. Rob is a Group Product Manager with Google Shopping. In this role he is focused on leading efforts in product content and data, global expansion and advertising programs for merchants, marketplaces and brands. Prior to joining Google in 2013, Rob has been entrepreneur and executive both in-and-outside of tech including positions as COO of China’s leading branding and integrated marketing agency, founder/CEO of a vertically integrated home and lifestyle product brand, co-founder of a multi-category online retailer, co-creator of an award-winning IoT device, dotcom-era digital strategist and early 90’s web design pioneer. Rob has a bachelor’s degree in Computer Science from the University of British Columbia. He is a member of the GS1 Innovation Board where he sets global direction and strategy for product data standards such as the UPC barcode and GDSN. Rob is also active as an early stage investor/advisor with a variety of technology and product companies. David Spitz, ChannelAdvisor’s CEO, is responsible for leading the company in its mission to provide retailers and branded manufacturers with the software and services needed to successfully sell their products via online sales channels. Before joining ChannelAdvisor, Spitz founded and successfully exited multiple venture-backed software companies. David received a Bachelor of Computer Science from the University of California, San Diego. 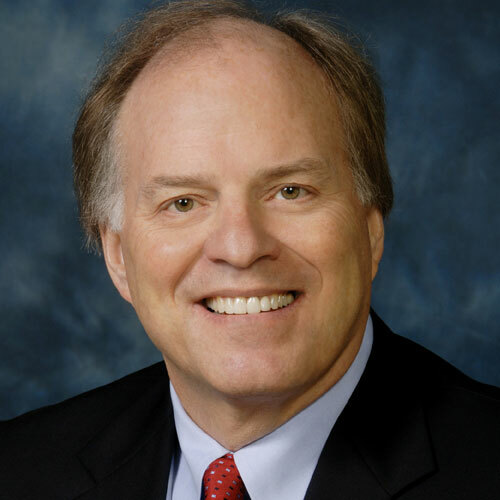 David has been awarded three U.S. patents, is past chairman of the North Carolina School of Science and Mathematics Foundation Board and is a member of the executive committee and board of directors for the North Carolina Council for Entrepreneurial Development. Michael Trembley, Vice President, Partner Programs for Walmart.com, brings over 20 years of experience building and designing e-commerce and consumer services. 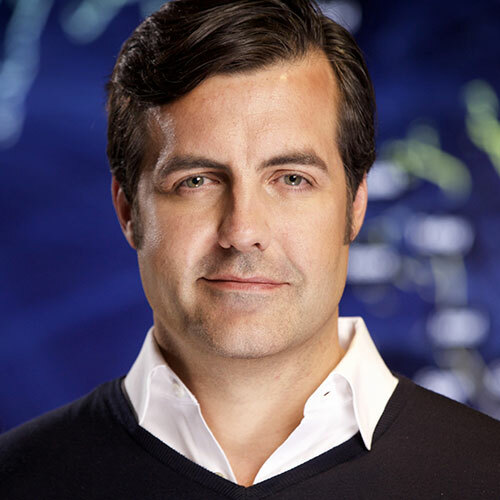 At Walmart, he is responsible for accelerating and expanding the third-party marketplace and drop-ship businesses across Walmart.com and Jet.com. Prior to this role, Michael led product management of several online service businesses including pharmacy, financial services, and photo and directed user experience design for Walmart.com. He has also held roles with Kodak, Ofoto, and several startups. Originally from Switzerland, Michael received a Bachelor of Science in Business Administration from the Eller College of Management at the University of Arizona. Valerie Anders is a Product Manager at ChannelAdvisor responsible for its Digital Marketing platform. With over 10 years of digital marketing experience on both the agency and brand side, Valerie has helped clients increase ROI across a wide variety of industries from automotive to jewelry. She works closely with the digital marketing providers, retailers, and ChannelAdvisor teams to keep up to date with channel developments and to optimize existing features for ChannelAdvisor customers. Jon leads the digital marketing, technology and product innovation efforts at Jewelry.com, a leading online retailer and part of the Berkshire Hathaway family of companies. He and his team create growth by delivering great customer experiences across all touchpoints, through a process of continuous improvement. Prior to joining Jewelry.com, Jon managed innovation and growth at enterprises and startups in the e-commerce, advertising, entertainment and non-profit sectors. Peter Beaugard is the Head of Brand Strategy at Dooney & Bourke. He is an innovative and creative leader with proven success in industry, arts, and academia. In his capacity at Dooney & Bourke, he manages brand marketing, e-commerce, customer service, and licensed brands. Previously, he was an associate professor and department chairperson for Lawrence Tech University, the third largest school of Architecture in the US. Additionally, he worked for Fahrenheit 212, a leading innovation consulting firm in New York City, and led engagements with Fortune 500 and private equity clients on four continents. Selected clients include Hillshire Brands, Pepsi, Nestle, CitiBank, Pfizer, and Mars. As a Sr. Client Strategy Manager, Alex works with high end clients to develop robust online acquisition strategies and expansion opportunities. Alex specializes in Shopping management(primarily Google Product Listing Ads and Bing Product Ads) and is well versed in the ChannelAdvisor feeds program, utilizing ChannelAdvisor software to transform and distribute client data to a wide range of online vendors. Alex joined ChannelAdvisor in 2013 as a Digital Marketing expert after 4 years managing client accounts pertaining to web design, custom programming, and a multitude of marketing services. Alex graduated from the University of Michigan in 2009 with a degree in Economics. In his current role, Silas has led the successful launch of several consumer-facing programs including Dell’s Price Match Guarantee, Americas Best TV Store value proposition and Marketplace integration, enabling Dell to engage customers in new, more meaningful ways. As Manager, eCommerce Sales & Business Development at Perrigo, a leading global healthcare supplier, Aaron Conant focuses on new business development for both the U.S. and international eCommerce marketplaces. Perrigo is the world’s largest manufacturer of over-the-counter (OTC) pharmaceutical products for the store brand market and an industry leader in pharmaceutical technologies. Prior to playing a principle role in the growth and development of the ecommerce group at Perrigo, he spent 5 years in project management and 5 years as a research scientist at Pfizer designing synthetic pathways for drugs to be used in Phase I & II clinical trials. His approach of blending science, sales and project management provides a unique perspective to this rapidly changing environment and has enabled rapid YoY growth in multiple categories. He holds a BS in Chemistry and Biochemistry from the University of Michigan and an MBA from Western Michigan University. Mark is a manager on the account services team at ChannelAdvisor. Originally started on the sales team at ChannelAdvisor in 2011, Mark transitioned to the Account Services team in 2014, where he has managed the overall ChannelAdvisor relationship with several IR-500 companies as well as Mid-Market retailers, both in the Marketplace and Digital Marketing spaces. Mark has a passion for helping and seeing online retailers grow their eCommerce footprint. Mark originally is from Pittsburgh, PA, is an avid Steelers/Penguins/Pirates fan and currently lives in Cary, NC with his wife and 3 children. Derek Dobson is the General Manager, Digital Direct at Blue Wave Products, a well-established manufacturer of several indoor / outdoor recreation brands, including Heatwave and Hathaway. Blue Wave has been seen tremendous growth in B2B sales, and has recently brought on Derek to lead the development of e-commerce. Previous to his time at Blue Wave, Derek was Director of Marketplaces for Timex, responsible for online marketplace content, sales and promotional strategies, and technical integrations. During his time at Timex, Derek grew marketplace sales from the ground up into the fastest growing channel at the company. Prior to this, Derek was Channel Manager for MobileKarma.com, managing all content, marketing strategy and technical development for the leading seller of 2nd hand mobile devices online. Jamie Dooley is the head of Direct to Consumer & E-Commerce for Dorel Juvenile Group, the largest manufacturer of juvenile & baby products in the US, with brands that include Safety 1st, Maxi-Cosi, Quinny, Disney Baby, Eddie Bauer, and Tiny Love. Prior to Dorel, he held leadership roles in E-commerce strategy and merchandising with BabiesRUs.com, Dunkin’ Brands (DunkinDonuts.com), and Wayfair. Jamie’s 20+ years of retail experience also includes having served as a Buyer for Target Corporation and Staples, Inc. He received a BS degree in Business from Northeastern University, and an MBA from MIT‘s Sloan School of Management. Brandon Harden is an owner of Seven Times Six, an online Pop Culture Apparel Company, that was established in 2005 as Real Deal Sales LLC. Brandon started in the field of Finance with Fidelity Investments in 1999 and was a Sr. Financial Advisor with their managed portfolio in which he visited with high net worth customers to assist with diversifying their portfolios. While working at Fidelity, Harden graduated from the University of Utah with a BA in English in 2006. These customers consistently told him the same theme, if you want to become wealthy you need to own your own business. That opportunity presented itself initially during the Real Estate boom of the early part of the century as he teamed with a few colleagues at Fidelity to start a Real Estate Investment Company. Later after the success that he experienced with Real Estate, investing another opportunity presented itself to get involved with E-Retail and in 2007 he chose to leave Fidelity permanently to pursue a career with Online Retail by purchasing an ownership stake in Real Deal Sales. Real Deal Sales started as a lost freight/salvage business that focused on media products and sold primarily on eBay. Soon the products expanded to all categories and remained steady until 2010 when the owners at Real Deal Sales decided to shift the business focus from salvage to manufacturing and building a more traditional Retail business. During this transition, they established themselves in the Apparel category and now sell under the brand Seven Times Six in which the focus is on Pop Culture apparel products. Cathy Hinek came to ChannelAdvisor in 2013, bringing with her years of e-commerce as well as bricks and mortar retail experience. As a Manager in the ChannelAdvisor Client Services department, Cathy supports ChannelAdvisor Client Strategy Teams as they work with clients to exceed their e-commerce goals. Cathy has a passion for providing data-driven strategies to increase both profitability and efficiency. With a background as a retailer, she knows first-hand the challenges that face today’s Sellers as they strive to expand their presences in the global commerce space; her goal is to make omni-channel commerce more accessible by providing viable solutions for those challenges. As a Business Analyst with the ChannelAdvisor Product Management team, Chris Hoskins is responsible for the partnership with Walmart and oversees the day-to-day interactions and planning between both the technical and business teams. A ChannelAdvisor employee since 2011, Chris previously worked with the Implementation Services team as both a Launch Manager and team lead, and holds a bachelor’s degree in Business Information Technology from Virginia Tech. 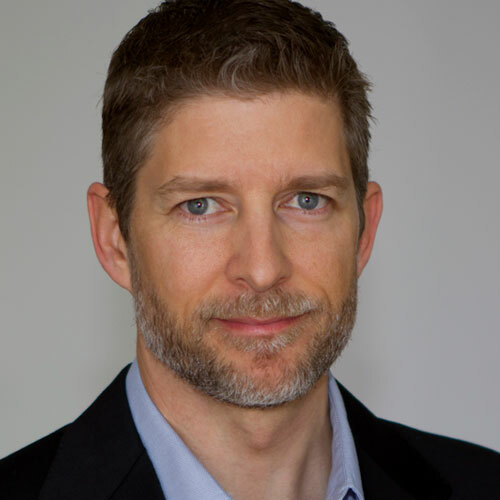 As the founder of eCommerceandB2B.com, Justin King uses 20 years of experience working in e-commerce to help customer build e-commerce strategies. On the forefront of growth and trends in e-commerce, Justin’s strategies are visionary, tactical, and have meaningful impact. Justin King is a senior partner at B2X Partners, a B2B e-commerce agency located outside of Washington D.C.
James is responsible for helping retailers and manufacturers understand the value of the ChannelAdvisor platform in their efforts to successfully sell their products across multiple online channels and geographies, as well as continuing to expand sales in the Greater China region. Prior to joining ChannelAdvisor, James was the chairman and CEO of MerchantRun Holdings Limited, where he pioneered channel management software services and subsequently led the company to acquisition. He then became the senior vice president of overseas business development for 4PX, where he managed major initiatives for the group’s five subsidiaries and engineered strategic partnerships with online marketplaces. James received a Bachelor of Arts in Economics with a minor in Business Administration from the University of California at Berkeley. Jeremy Lasson is the co-founder and CTO of My Goods (a Limited Goods LLC Company) headquartered in Baltimore, Maryland. Over the past 15 years, he developed this small partnership into a company known for its leadership in selling in the on-line marketplace. My Goods, specializes in a wide range of consumer products and boasts a worldwide customer base. Key to this progress is Mr. Lasson’s innovative style and a keen understanding of the on-line marketplaces. Jonathan Laverentz heads up product marketing for brands at ChannelAdvisor. Before joining ChannelAdvisor, he held key creative and strategic positions with global B2B and B2C organizations including Bosch Power Tools and The Second City. For more than 15 years Jonathan has worked with some truly diverse and exciting environments, and amassed experience in Consumer, Industrial, Manufacturing, Technology, Start-up, SaaS, and agency organizations. When not immersed in all things brands, Jonathan spends his free time with his wife and kids, traveling and exploring the world. John Lee is a digital advertising professional with experience in PPC, display advertising, social advertising, SEO and analytics. At Microsoft, John is a Senior Client Training & Development Manager creating and leading training experiences for Bing Ads customers. He has been in the digital advertising industry since 2006 working with HanapinMarketing, Wordstream, and as co-owner of Clix Marketing. John is a regular contributor to Search Engine Watch, The SEM Post, Acquisio Blog, Clix Marketing Blog and was instrumental in the creation and launch of popular paid search advertising blog PPC Hero. 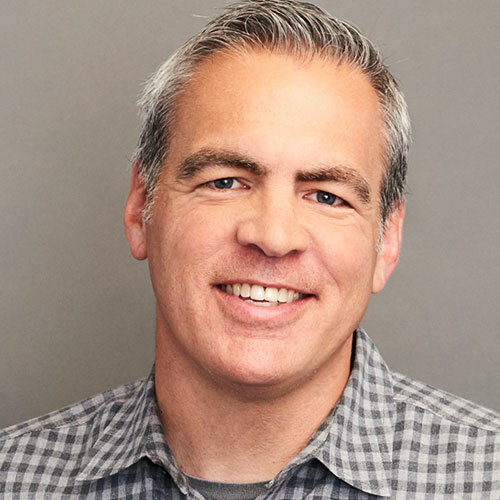 In addition to his writing, John has been a speaker at SMX, SocialPro, SES, ClickZ Live,HeroConf, Acquisio User Summit, State of Search, MN Search Summit, Ticket Summit, Zenith Conference and Bing Ads Connect conferences. Joshua Lee has served as the Marketing Manager and led global paid search initiatives since joining Fossil Group in 2016. Prior to joining Fossil Group, Josh worked at various advertising agencies in digital strategy roles helping to develop internal education processes while producing award-winning campaigns for his clients. He has worked on notable brands including Dyson Vacuums, Exxon Mobil, Thomson Reuters, and Interstate Batteries leveraging innovative digital strategies for the benefit of his clients. The combination of his unique understanding of both advertising and technology aligned with years of valuable experience has resulted in successful campaigns that provide valuable insight and drive results. Jessie serves B2C Marketing Professionals with a focus on social marketing. Her research covers the types of strategies and technologies marketers can use to win, serve, and retain customers in a rapidly changing social media landscape. Prior to joining Forrester, Jessie spent 10 years on the marketing agency side, working closely with leading B2C and B2B brands to define and execute their digital go-to-market, acquisition, and retention strategies. She led and managed agency teams specializing in branded content, social media, native advertising, influencer marketing, sponsorship and events, and offline-to-online customer journeys. Her industry experience spans Fortune 100 brands in financial services, technology, telecom, and retail. As director of product marketing at ChannelAdvisor, Amy Lubell is responsible for the messaging and positioning of our Marketplaces, Digital Marketing and Brands product offerings, in order to communicate value and drive global demand. With more than 10 years of industry experience and overseeing worldwide professional services teams for both Marketplaces and Digital Marketing, she has rich knowledge of ChannelAdvisor customers and products, as well as key players in the e-commerce industry. Dave Madoch is currently Director of Ecommerce at Toynk Toys LLC. Dave has been with Toynk Toys since its inception in 2001, supporting customer service, shipping, trade shows and product management. With positive sales from both Amazon and eBay, he advanced to director of e-commerce in 2007, by introducing Toynk to other online marketplaces such as Sears, Newegg and Rakuten. With recent additions of Jet.com, Walmart.com and Overstock, Dave has connected Toynk with more than 20 online marketplaces worldwide. 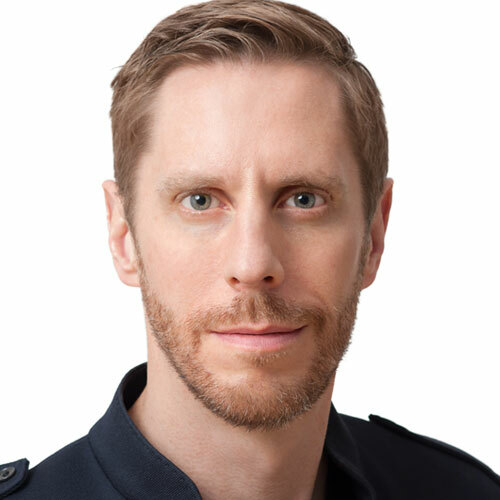 Daniel Moure is chief marketing officer (CMO) of PureFormulas.com, where he oversees marketing programs, brand management, social media, public relations user experience, content strategy, agency relationships, and corporate sponsorships. During his tenure at PureFormulas, Moure’s leadership has strengthened existing partnerships and developed new ones that have enhanced both the company’s revenue and customer base, including new partnerships with NetSuite and Oracle. In 2014, Moure teamed both marketing and technology departments at PureFormulas to launch a new and improved, in-house designed pureformulas.com, featuring state-of-the-art personalization technology. Prior to joining PureFormulas in 2012, Moure spent a decade at Univision Communications Inc. as VP of Account Management and Interactive Strategies. There he led the development and implementation of multiple award-winning interactive strategies for some of the biggest advertisers in the space. Before Univision, Daniel spent time as marketing manager at Yupi.com (now msn.latino.com) and regional account manager at Young & Rubicam Latin America, where he serviced clients from some of the world’s leading brands, including Colgate-Palmolive, United Airlines, Texaco, Philip Morris, and Kraft. Throughout his career, Moure has garnered countless awards, including Cannes Lions, Clio, Webby, and Fiap. Having served on some of the most recognized committees and boards in the industry, he currently sits on the CMO Council of the National Retail Federation, an invitation-only global network of marketing executives. He holds a Bachelor of Arts in Communications and Psychology from Loyola University of New Orleans. Anna Nason has nearly 20 years experience as a ROI-driven marketer. At FTD, Inc., Anna manages the paid social channel for the ProFlowers and Shari’s Berries brands, as well as the product data feed and several acquisition marketing channels including marketplaces and comparison shopping engines. Prior to joining FTD, Anna ran marketing efforts for several dot coms and financial service companies, including AIG. Jennifer Plant is a manager on the account services team at ChannelAdvisor, where she has worked directly with our clients for several years as an account manager. She has a broad e-commerce background in paid search, comparison shopping and marketplaces strategy, with experience working with enterprise-level retailers and brands across several verticals. She is passionate about helping businesses sharpen, diversify and expand their online presence. Jennifer graduated from The University of Georgia and is an avid UGA football fan. Prior to ChannelAdvisor, she worked in the agency space, specializing in SEM, SEO and social strategy. In her spare time, Jennifer enjoys traveling and spending time outdoors and with family. Jessica Porter is a Technical Account Manager and a member of the Brands team. She has over 5 years e-commerce experience and has worked in various client service roles at ChannelAdvisor. On the Brands team, Jessica assists clients with our “Where to Buy” and “Product Intelligence” solutions. Jessica helps Brands increase their online presence to ensure consumers are able to find their products. A native of Charlotte, NC, Jessica is a UNC-Chapel Hill graduate and lives in Raleigh with her husband and crazy puppy, Shelby. Ben Polichronopolos is the VP of E-Commerce for Home Fashion Designs. He started his career as a Tax Accountant at PwC, then joined Home Fashions Distributors, Inc in wholesale sales selling home textiles. In 2015, he started Home Fashions Designs, a subsidiary of Home Fashions Distributors as a pure e-commerce brand selling on multiple marketplaces, as well as retail sites including Bed Bath & Beyond and Kohls, generating sales in the eight figures in the first two years. Mike was the Co-founder and COO at an Internet Top 500 E-tailer and later started an internet consulting company. Mike has led ecommerce and digital marketing teams at Urban Outfitters Brands and Kroger Super Market Brands. He has led internal and external web site design and marketing teams, as well as integrating CRM, CMS, PPSR, and other IT systems. His teams have experienced success at many levels by working closely with marketing, product, merchandising and IT teams. Mike has been involved in every aspect of design, marketing, and ecom technology integration. He manages a multi-million dollar online media plan and programmatic advertising performance tracking systems. Mike has deep experience in executing platform migration while maintaining SEO quality score. His experience also includes executing affiliate marketing strategies, customer loyalty, and an e-mail marketing programs. As Director of GMS Performance Agencies, Tim leads a team dedicated to providing strategic and technical support to advertising agencies working to grow advertisers’ business through digital media. He is a veteran of more than 30 years in media sales serving in roles that have spanned print, television and online. Prior to his current assignment, Tim held a variety of roles at Google, most recently as Director of Performance Solutions Activation for North America, leading the implementation of performance product (search, performance display and remarketing products on desktop, tablet and mobile) strategy for the region. In previous roles, Tim has led the Americas Mobile Solutions team, the Mobile Display advertising team for multiple industry verticals, Google’s Consumer Packaged Goods practice in the eastern region and one of Google’s financial services advertising teams. He has been with Google for more than nine years. Tim came to Google from Plum TV where he was Director of Network Sales. Prior to Plum, Tim was President of Forbes Custom Media and Forbes’ Vice President of Sales Development. He was Southeast Manager for Fortune magazine and founder & president of an independent media sales firm in Atlanta. Tim is a frequent speaker at industry events including SXSW, IAB/MIXX, OMMA, Business Insider, SMX and others. He is a former member of the North American Boards of Directors of the Mobile Marketing Association and the Promotion Marketing Association and a current member of the Direct Marketing Association’s Mobile-Digital Community Leadership Committee. 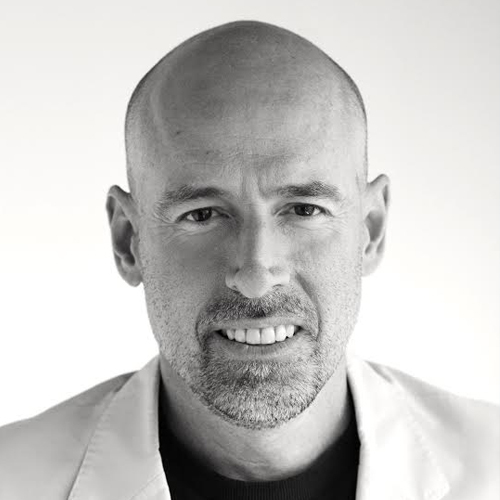 Paul Saunders is the founder and President of eLuxurySupply.com, an e-commerce business specializing in the manufacture and sale of various bed, bath, and home soft goods. Their corporate offices and fulfillment center are located in Evansville, Indiana. Paul founded the company out of his garage in 2010. In September 2016, INC. magazine named eLuxurySupply.com as the fastest growing privately owned company in Indiana and the 4th fastest growing company in the United States. eLuxurySupply.com is an Indiana based, ‘Veteran-Owned Small Business’, a manufacturing, business-to-business, business-to-consumer, and e-commerce company. They specialize in the Bed, Bath, Home, and accessories categories with customers in over 35 countries. They currently have 82 employees and 140K square feet of operating, warehouse, office, and distribution space. Senior Manager of Digital Acquisition, Plow & Hearth, LLC. As Senior Manager of Digital Acquisition at Plow & Hearth, LLC., Jessica oversees all digital acquisition efforts for the Madison retail brands to include Plow & Hearth, HearthSong, Magic Cabin, Wind & Weather, and ProblemSolvers. Jessica has over 14 years’ digital acquisition experience in helping corporations such as Plow & Hearth, WillowTree Apps, Merkle, Genworth Financial & Anthem Blue Cross and Blue Shield use digital acquisition efforts to drive online visibility and qualified leads. As the Senior Lead of Digital Acquisition for Plow & Hearth, Jessica is responsible for each retail brand’s paid search, shopping datafeeds, remarketing and SEO efforts, as well as affiliate programs, marketplace expansion and CSE management. As Vice President of Product Management, Mark is responsible for overseeing ChannelAdvisor’s Marketplaces solution, extending the company’s global leadership in marketplace management. Under Mark’s lead, the ChannelAdvisor product management team is responsible for equipping branded manufacturers and retailers with the features and functionalities they need to optimize their sales and increase their global footprint. A 15-year veteran of ChannelAdvisor, Mark has served as director of cross-border trade and director of services. Most recently, he served as the director of business development, managing strategic partnerships and exploring new business opportunities that benefit brands and retailers across ChannelAdvisor’s supported e-commerce channels. He holds a bachelor of arts in economics from the University of North Carolina at Chapel Hill. Sara Waters is currently working at Google NYC as a Business Development Manager, with a primary focus on e-commerce & retail solutions, supporting both large and small advertising clients. She started off her career by running her own small business and eventually found her way to Google where she has been now for 4+ years. Sara loves that on a daily basis at Google, she has the opportunity capitalize on her creative, analytical, and problem solving skills. In her free time, she enjoys cycling, traveling and being in good company. Before Sherri Wu joined Voyageone, she was the Chief Strategy Officer and Head of International Business Development of Alitrip at Alibaba Group. She leads the team in building growth opportunities for businesses around the world across key Alibaba Group platforms, especially in the travel area. Also Wu has been Head of International Development Americas at Tmall Global before leading Alitrip at Alibaba Group. Prior to joining Alibaba, Wu was the Vice President and GM for Product and Technology at Orbitz Worldwide where she oversaw different areas of the business including loyalty, finance technology, CRM, trip and member expansion, International migration and expansion and various special projects. Before that, Wu was the CTO of PEAK6 Retail where she built the company’s e-commerce development team and designed and developed e-commerce and financial social networking websites. Wu has earned master’s degrees in Computer Science and Accounting from Southern Illinois University, Edwardsville. She also holds a bachelor’s degree in economics from Nanjing University, China. Link is responsible for driving the roadmap for the company’s Digital Marketing solution. He oversees a team dedicated to working with customers and the engineering team to deliver innovative technology to the market. Prior to joining ChannelAdvisor in 2005, Link managed online marketing for Art.com, an online retailer of posters, prints and original artwork. Previous to Art.com, Link worked as a management consultant helping companies in finance, strategy and organizational design. Karthik is a marketing and omni-channel retail expert who has been helping the world’s largest brands set their strategy for an Omni-channel retail business model for more than 14 years. With a passion for large and challenging transformation efforts, he has drawn on his diverse experience in retail strategy, digital marketing, big data analytics and technology to help Fortune 500 companies unlock their growth potential. Currently, as the head of Macy’s Search, he is responsible for Macy’s international and domestic search (both online and in-store).